Shine bright like a… sapphire! 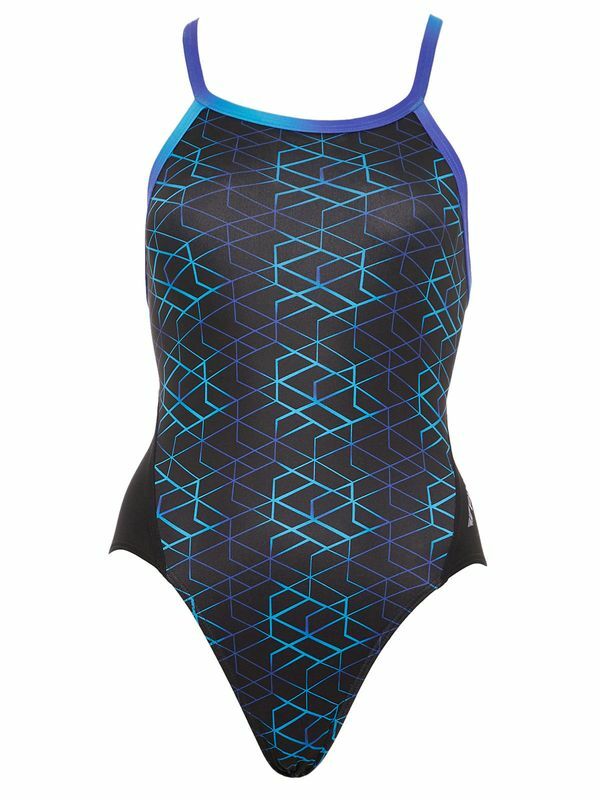 In the jewelled toned Finz Bejeweled Women’s One Piece in gorgeous amethyst and sapphire toned geometric patterns with a midnight black background and a vibrant violet Finz logo at the hip, you will have sparkling like a diamond in the rough. You’ll be dazzled by the Finz Bejewelled Women’s One Piece from the moment that you slide it on! Merging the world of fashion and high performance, Finz Swimwear is all about creating the perfect swimwear for serious female athletes. Made with 100% PBT fabric that was engineered with needs of dedicated lap swimmers in mind, this swimwear has it all!